UPL is currently the fastest growing firm in Wales, achieving 788% growth since 1999, an annual turnover of £7.1 million in 2001 and the creation of 60 jobs. This exceptional business is a specialist Utility Management and Energy Consultancy, providing a wide range of energy services and solutions to a variety of customers. UPL’s largest projects have been carried out on behalf of the mobile phone operators (Orange, Vodafone, T-Mobile, H3G and O2), and the firm connects power to over 4000 mobile phone masts across the country every year, enabling these operators to meet intensive rollout programme deadlines. UPL also operate in other areas of expertise. For example, a team of dedicated engineers is able to provide innovative solutions that bring value to customers – the firm has recently started production of the multi-user meter cabinet that is one of the lowest priced products of this nature currently on the market. UPL’s Energy Services Team can also provide best-value energy procurement together with additional solutions that include bill validation and environmental advice. Finally, UPL also offer expert consultancy services to energy related companies/projects that will benefit at any stage of their negotiations from the firm’s knowledge of the Utilities Market. When Senior Manager Gary Mawer was made redundant from South Wales Electricity (Swalec) at the age of 51 in 1996, he did not want to take "an early, easy retirement". With a former colleague, Rhys Wynne, he used his redundancy package to set up an energy brokerage business from home. Later the same year, Gary was approached by mobile Operator One2One (now T-Mobile) to supply and install power to their mobile phone masts that are often erected in remote locations and subsequently powered by generators. Now, Utility Partnership Limited has contracts with all major mobile Operators including Vodafone, Orange, T-Mobile and H3G and energy brokerage accounts for just 10% of its business. The main factor that has contributed to UPL’s fantastic success has been the surge in mobile phone use and the demand for better coverage. This meant that rollout programmes became more intensive and the need for power more urgent. 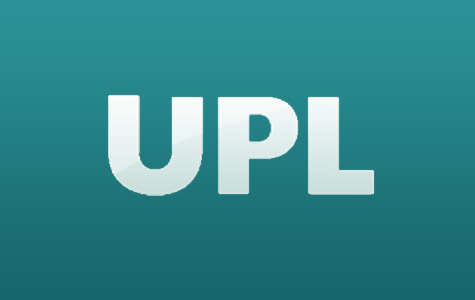 UPL were able to provide a cost effective and timely service to companies that were undergoing massive growth. For example, the deregulation of the Utilities Market that continues today. At a time when the choice of gas, water and electricity suppliers underwent rapid expansion, UPL were best placed to offer advice and procure best value service from distributors. The main strategy for UPL is to continue its national growth and develop current relationships with its customers. The range of services is continually increasing and UPL are aiming to offer existing clients a wider scope of added value services as well as developing expertise in new areas of business and keeping up with the ever-changing utilities market. UPL also aims to utilise connections that have been have made on a global level through contacts in South Africa and Europe.